The Ward Eight is a classic whiskey sour with a hint of grenadine, which adds a touch of sweetness. It's assumed that the Ward Eight was created at Locke-Ober in Boston sometime in the year 1898 and named for the 8th ward in Boston. There are a few more stories that differ in who, when, and where, but one thing is agreed upon: it was created around the turn of the 20th Century in Boston. There are a few variations of this recipe, though the essentials are usually the same: whiskey, sweet, sour, grenadine. Some recipes will call for sour mix (which is essentially sour citrus and simple syrup in one convenient bottle) and some will have the drink served on the rocks in a collins glass or up in a cocktail or wine glass. 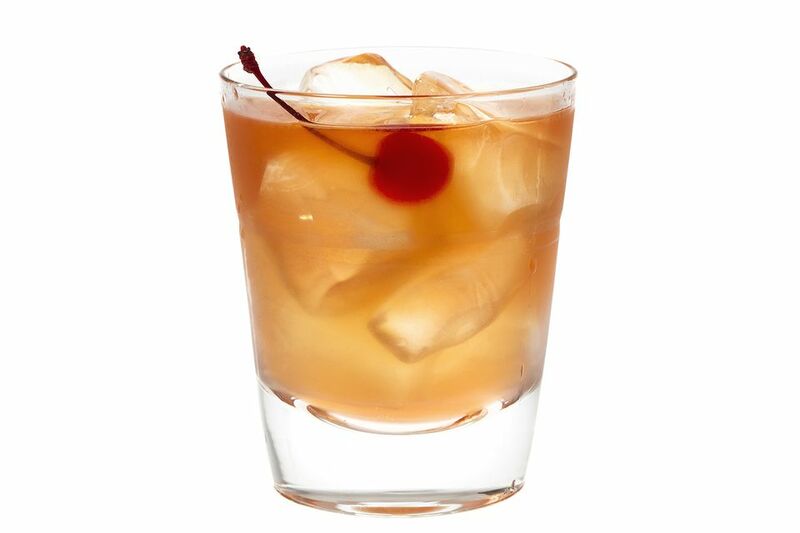 A favorite bourbon for this cocktail is Woodford Reserve as it adds a subtle, smoky sweetness that pairs nicely with the sweet grenadine, but a rye whiskey will add a robust quality that is very nice and close to the original. Strain into a chilled cocktail glass or a collins glass filled with ice. Garnish with a cherry and orange slice flag.